ECHR de facto waived immunity of Marcello Dell’Utri, Member of Italian Parliament from political party “The People of Liberty”, and senior adviser to Prime Minister Silvio Berlusconi. 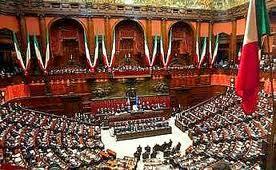 The Italian Court of Cassation condemned him for fiscal fraud. The judge-reporter Pierluigi Onorato was a former Member of Parliament from the Communist Party. Therefore, Dell’Utri declared in the press that it was a political judgment. The judge-ex-communist started a civil action for defamation. 1) After the refusal to waive parliamentary immunity, judge Onorato lost any possibility of effective access to court on this issue (§§ 45, 54). 2) It is correct that parliamentary immunity is a long practice having the aim to protect the freedom of expression of Members of Parliament from political persecution (§ 48), however the words of Dell’Utri did not have an “obvious” link with the legislative process (§§ 50, 52). 3) The accusation made by Dell’Utri did not concern the relations between the legislative and judicial branches of power (§ 51). 4) Therefore, the denial of the right to court is disproportional (§ 52). 5) Therefore, it violates the “fair balance” between the “imperative of fundamental rights” (right to court) and the general interest of the community (freedom of expression of the people’s representative) (§ 53). An interesting point of this legal strategy was that judge Onorato did not stop after the refusal of the Italian Parliament to waive immunity but continued the legal proceedings.